Fruits and vegetables are extremely important when it comes to maintaining an efficient diet. It also proves to have various health benefits in regards to fighting wrinkles, losing weight, and creating nutrients for your body. Eating more fruits and veggies, specifically, help keep your stomach full and eating fewer calories in a given day. Foods like berries, broccoli, oranges, and avocados all have high fiber content and have a low glycemic load, which helps in maintaining and losing weight. Fruits and veggies also are great for your skin! 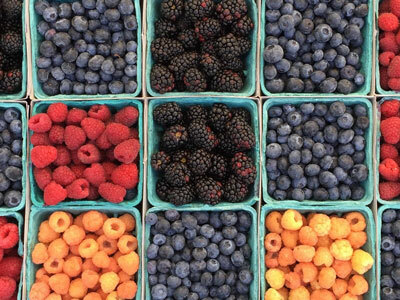 These foods produce antioxidants that help to protect your skin against the sun and wrinkles. Who doesn’t like foods that help you avoid wrinkles? Photo by William Felker on Unsplash.